Money saving expert (MSE) has a great forum dedicated to matched betting but it can be a little intimidating for beginners. There is a big sticky thread at the top warning people to stay away if they don’t understand it. When I first looked into matched betting I read this and immediately forgot about the subject, it sounded too daunting and not something I wanted to get involved in. It wasn’t until many months later a friend told me about Oddsmonkey that I came back to it. For a beginner it was a complete breath of fresh air. I didn’t know anything about gambling or betting. It’s not something that interests me, I know the bookies always win in the long term. It’s a mugs game. 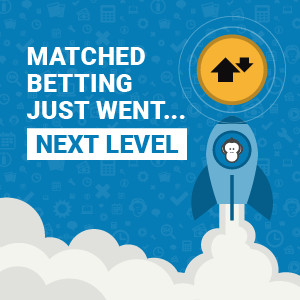 Matched betting is different, there is no risk. Oddsmonkey opened my eyes to this and gave me the knowledge I needed to start ‘beating the bookies’. I have since revisited the MSE forum and still find it a little off putting. The threads in their are huge and move so fast questions from newbies are largely ignored. The Oddsmonkey forum on the other hand is geared towards support and the community are so willing to help each other that it is a joy to be a part of it. I’m sure you will have read other blogs on matched betting and thought, this is too good to be true, it must be a scam. I thought the same, just dismissed it for years. I wish now I had started years ago as my finances would be in a very healthy place if I had done. Don’t make the same mistake as me and let any niggling doubts put you off. Dive in now, start with a free trial at Oddsmonkey and learn all you can with that – if you don’t think it’s for you, then you can walk away and won’t have lost anything. You have nothing to lose and everything to gain from this. Earning extra money on top of your wages every month is life changing and it’s so easy to do. Everyone can get involved in this. The best thing about this being on the Money Saving Expert website is that it gives the practice legitimacy. It wouldn’t be on there if there was anything dodgy or risky about this. That place is full of people trying to save money and make money. The matched betting sections is one of the busiest on there but for beginners it’s not the best starting point. How Much Money Can I Make Matched Betting?